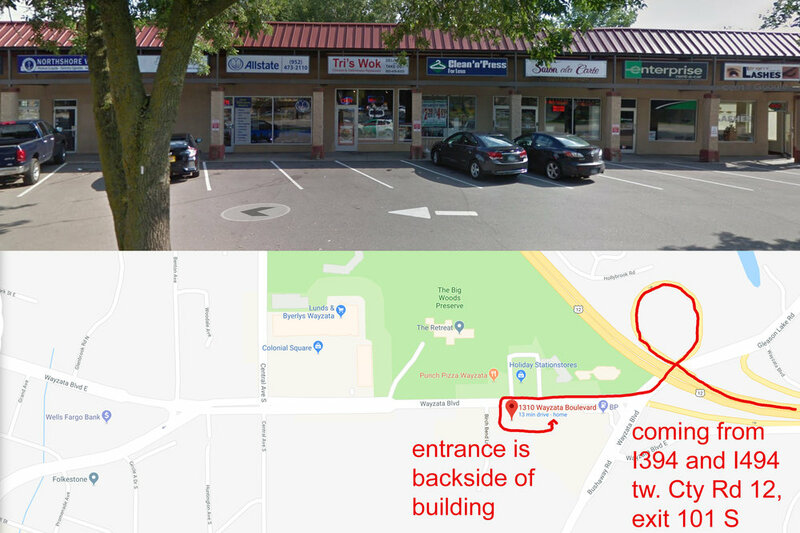 We are conveniently located On 1310 Wayzata Blvd. E., Wayzata, MN 55391, twenty minutes from downtown Minneapolis and close to Interstate 394/County Rd 12, County Rd. 101 South exit. City Rd.15 and Interstate 494 are minutes away also. There is plenty of parking outside the building. We are located at the backside of the building and the entrance is ground level, which makes it easy to access for young children and wheelchairs. Our facilities include a handicap-accessible restroom, a changing room and a waiting area besides the camera room.